Parkway Drive is on their last week of shows for Reverence North American Tour 2018 which includes support from Polaris, The Devil Wears Prada and August Burns Red. I caught a show this past week at Stage AE in Pittsburgh, Pennsylvania. As I arrived at the venue, there were fans anxiously waiting hours before the show began. I was also very anxious to attend Parkway Drive and anticipating a phenomenal show. It has been a year since I last saw them at The Chameleon Club in Lancaster, Pennsylvania and a lot has changed for the band since then. Parkway Drive released a new album earlier this year called “Reverence”, which is a huge change for the band and new chapter in their career. I was eagerly waiting to hear the new songs at the show and witness the crowd’s response. The show kicked off with an upcoming band from Sydney, Australia known as Polaris. I’ve never listened to them before the show but I was definitely not disappointed. They had a great stage presence and got fans warmed up in the mosh pit. Polaris played their hit songs "Lucid", "Regrets", and "The Slow Decay". Overall, they had a fantastic set and I’ll definitely be catching another one of their shows in the future. The Devil Wears Prada from Dayton, Ohio followed afterwards. I have been a long time fan of heavy music and it was incredible to see a band that shaped the industry. They definitely did not disappoint me with their high energy. They played their classics such as "Mammoth", "Planet A", "Born To Lose" and "Anatomy". Metalcore behemoths August Burns Red from Lancaster, Pennsylvania was the next band to bring the heat. August Burns Red opened with crowd favorites like "King of Sorrow", "Martyr", "Invisible Enemy", and "Whitewashed". Parkway Drive was finally up next to play and I could feel the anticipation around me. The crowd rhythmically screamed "Parkway Drive! Parkway Drive! Parkway Drive!" with excitement for the legendary band. Just moments later, Parkway Drive ran on stage and began playing "Wishing Wells". I was absolutely blown away by their performance once again. They had numerous impressive strobe lights and an enormous mosh pit. 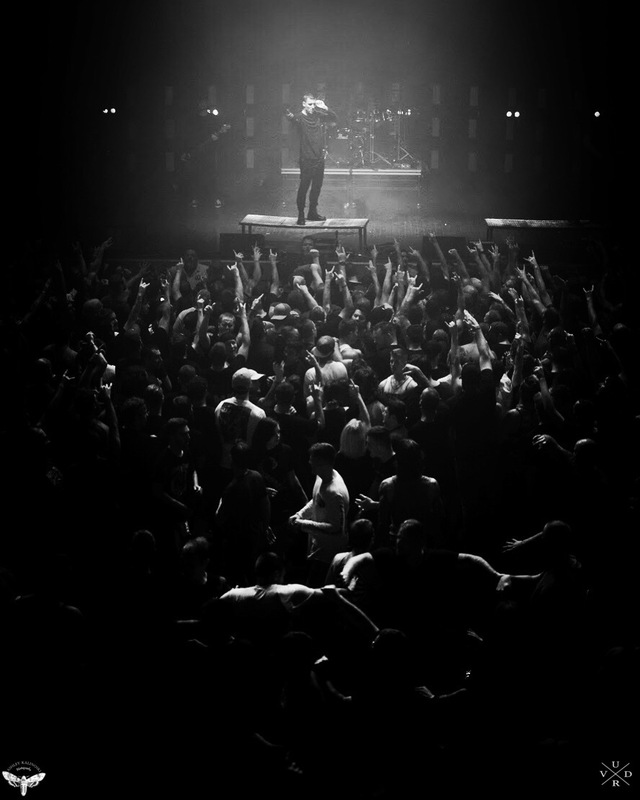 The pit engulfed the venue floor as Parkway Drive played "Prey", "Vice Grip", "The Void" and "Bottom Feeder". Overall the show was fantastic, especially with the beautiful lighting. I’m looking forward to seeing what Parkway Drive has in store for the next chapter of their career. All pictures courtesy of Ashley Kalinoski photography.